Participants of the All Flowers Are Roses Programme show off their new self-defence skills. 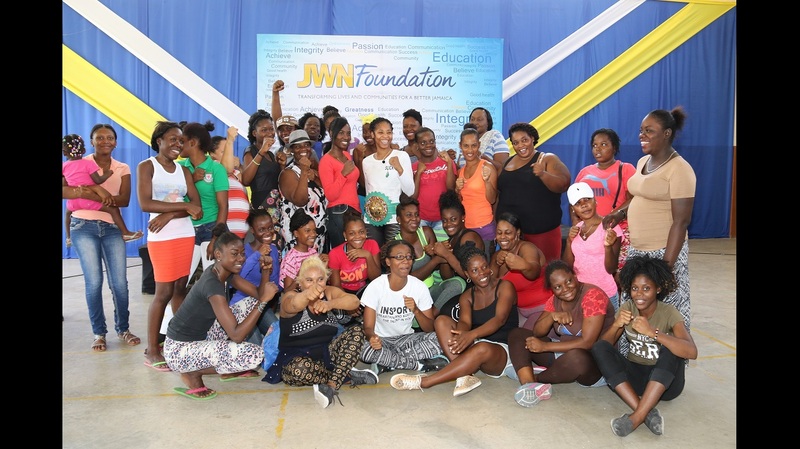 Participants of the All Flowers Are Roses, an eight-week self-defence and poetry summer programme, showcased their new skills at the Institute of Jamaica Junior Centre last Thursday. 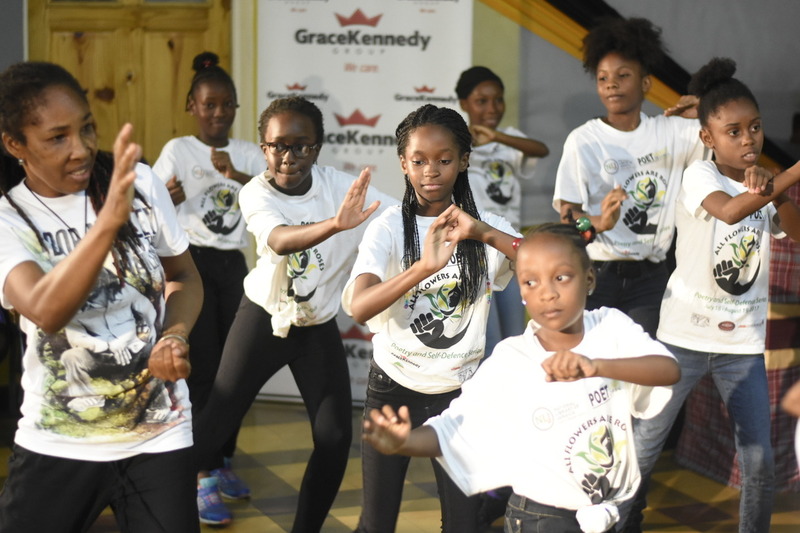 Of the 32 girls who took part, 20 of them presented short poems, before demonstrating their new self-defence skills on facilitator Cherry Natural. 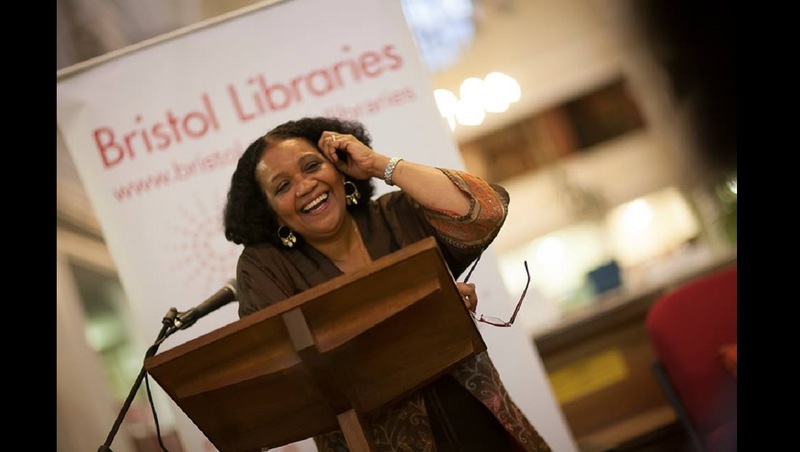 All Flowers Are Roses is the brainchild of Jamaica’s Poet Laureate, Lorna Goodison. The progamme caters to girls aged 11 to 14 years from inner-city communities. Now in its second year, All Flowers Are Roses is staged in collaboration with the National Library of Jamaica and of a number of corporate entities, providing scholarships to the participants. 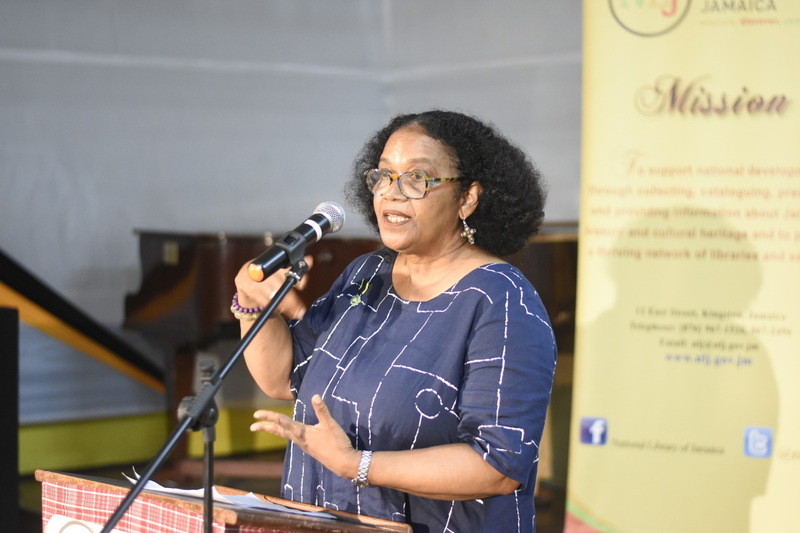 Permanent Secretary in the Ministry of Culture, Gender, Entertainment and Sport, Denzil Thorpe, representing Minister Olivia ‘Babsy’ Grange, said the programme will assist the island’s women to better able defend themselves, while growing emotionally and intellectually. “The coupling of the two disciplines is a unique approach to develop self-awareness, discipline and confidence. 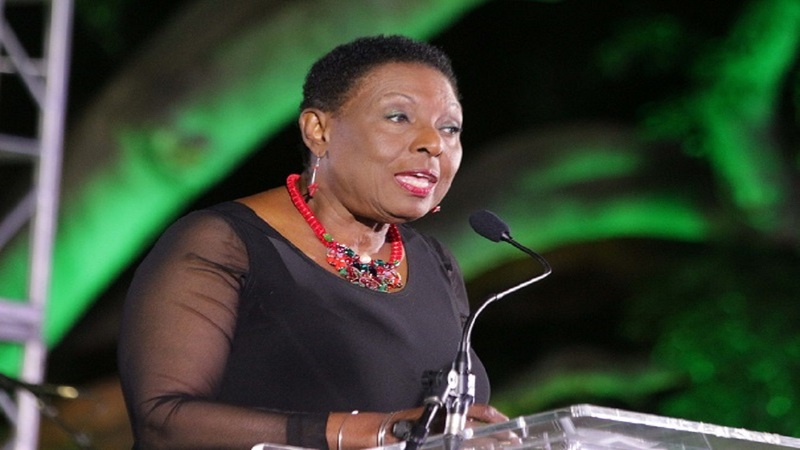 It is necessary to encourage Jamaica’s young women to stand up for each other and defend themselves through their words and actions,” Thorpe said. “Violence against women is regarded as a public health issue and is an obstacle on the path to national development. Through programmes such as this, we are seeking to overcome this obstacle,” Thorpe added. Poet Laureate Goodison, said the programme is dedicated to the memory of her mother, whom she said, would take idle girls from off the street and teach them to sew. 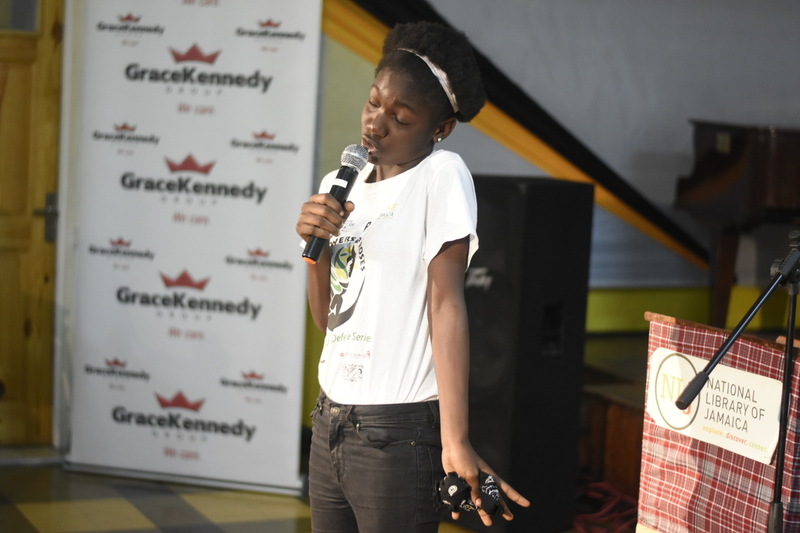 Goodison said that while lecturing at universities in the US, she felt a void of not being able to give back through poetry to Jamaica, leading her to start All Flowers Are Roses.